Join us for a fun Valentine’s story! 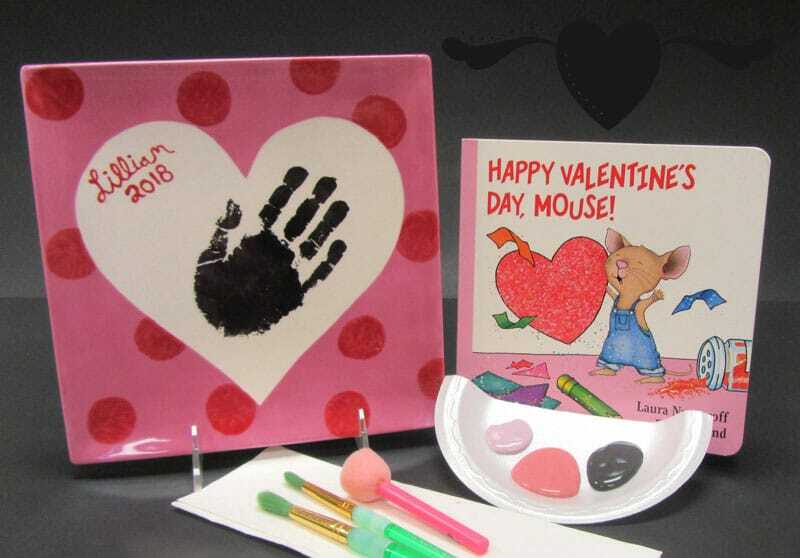 After the story, the children will paint a square plate with two of their favorite colors and stamp their handprint on it. Parents can help apply the details at the finish. A heart template with be on the plate prior to class so very child can create a masterpiece! Ages up to 12 years old. $18.00 per child. Reserve online or call us 298-3275.